the way - What’s the strategy/system/method/way of getting to God? Every other religion or system of thought gives you a way of getting to God, a path to success in this life or the next. Christianity offers a person - Jesus. This appears exclusive, but is more inclusive than any other option because it's not restricted to those who have heard the right system, or managed to follow the right system. 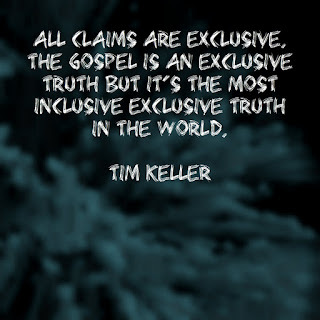 The gospel is open to those who the world sees as a success and those who are seen as absolute failures. the life - we look for life elsewhere and end up on a treadmill chasing satisfaction. Life is found in Jesus. Everywhere else comes up dry and leaves us thirsty. This appears exclusive, but is more inclusive than any other option because there is no restriction on race, language, culture, class, intelligence or wealth. All claims are exclusive. 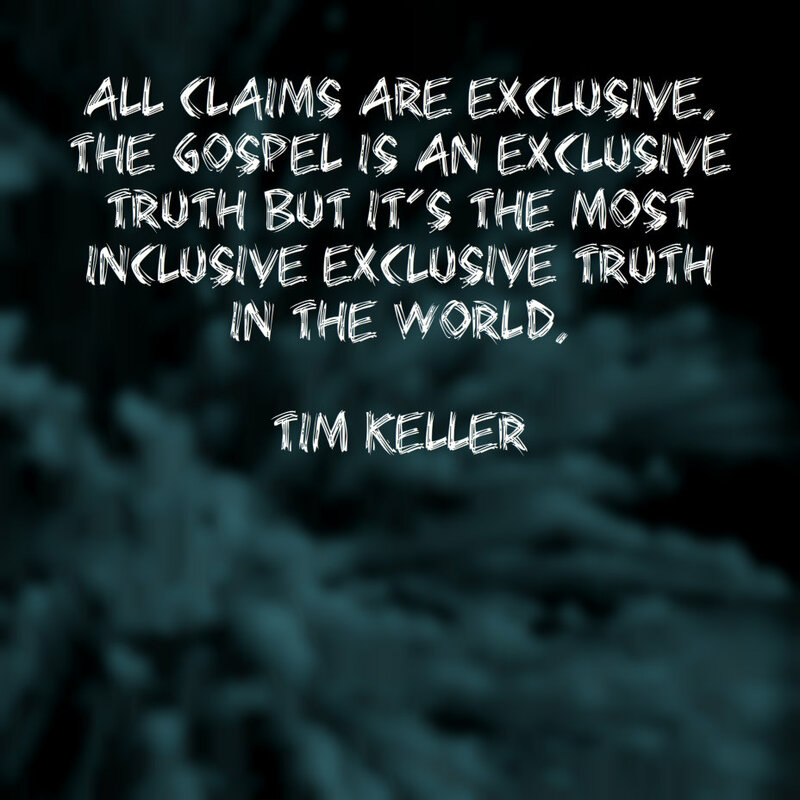 The Gospel is an exclusive truth but it’s the most inclusive exclusive truth in the world.